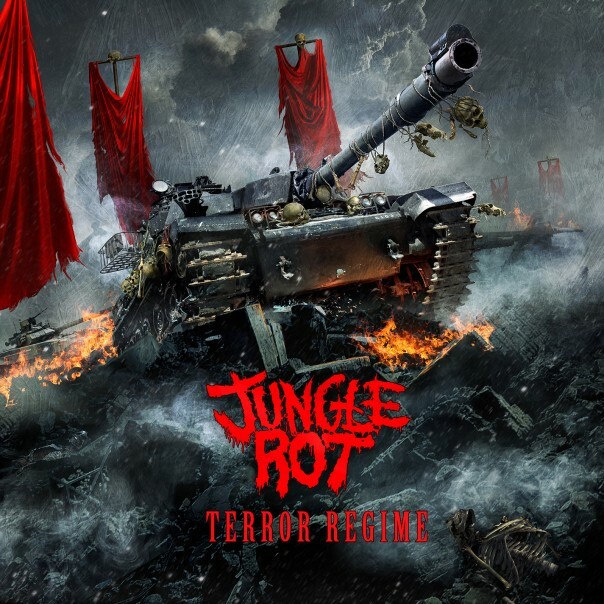 Just two short years after their last record, Kill on Command, Jungle Rot continues a well-deserved partnership with Victory Records for the release of their seventh full-length, Terror Regime. 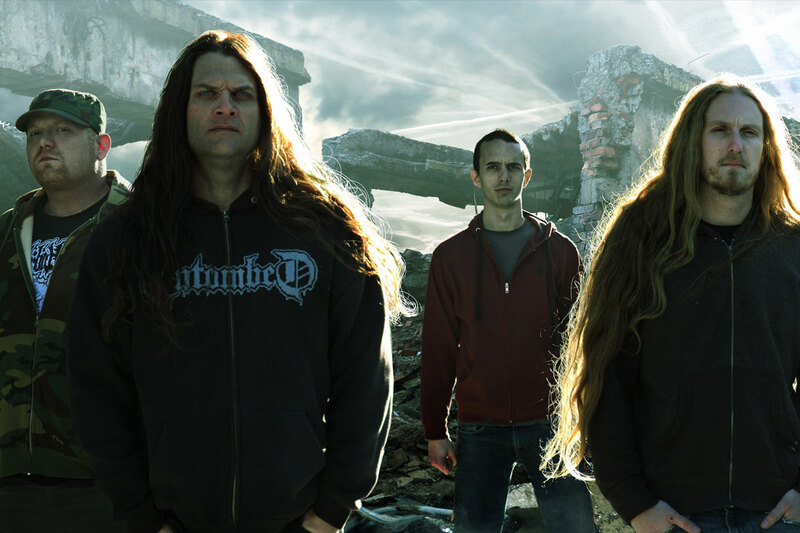 This time around the band sounds excessively clean--perhaps unfitting for their trademarked style of beefy metal--but the shift is not without its benefits: with the maneuver toward boosted accessibility, the four-piece finally gets a sip of the Kool-Aid other death metal pioneers have relished for years, effectively ending a forgotten career between the musical world's cracks. 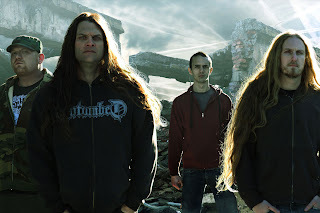 Promotion on Victory Record's part has been good, if not better than past label Napalm Records, and the band deserving savors the fruits of their labor, putting their name on the map among groups they emerged beside nearly 20 years ago. Despite the glossy coating, however, Jungle Rot is very much the same, aside from a few exceptions. With an expanded focus on breakdowns, the album tends to plod with sleep-inducing, one-note, chugged sections placed in the middle of otherwise stellar song writing. Deceptively simple instrumentation has always been a staple of the band's sound, but Terror Regime heavily relies on the idea of a filler midsection that, by and large, splits tracks in half, making compositions feel unfinished. Of course, not every song on the record appears this way, but for the ones that do, the side effects are unfortunate. Nonetheless, the majority of the Terror Regime is filled to the brim with a Motörhead-like consistency countless bands can only hope to achieve throughout their careers. Performed in a music video, "Blind Devotion," for instance, is characteristic Jungle Rot through and through, with a grooving midsection that prompts headbanging and a feel good attitude by way of highly-distorted, sustained chords constructing the intro. The Wisconsinites also make use of tried-and-true death metal playing techniques, particularly rapid alternate picking, in songs like "Scorn" and reach deep into the pot used to churn death metal's contents in the past. Regardless, the musical delivery is commonplace Jungle Rot. In fact, Terror Regime is similar enough to the last album that one would be hard-pressed to find a gap between the two. Consistency really is Jungle Rot's strength from release to release. Even with the addition of increasingly prominent breakdowns is a group that knows how to stay uniform in their efforts without risking the possibility of alienating fans. Naturally, staleness comes into play for any band that sticks to one idea for too long, but the quartet continues to push onward without sound changes, even after seven albums. Aside from the punkish "I Don't Need Society" any of the 11 tracks have a chance of entering the Jungle Rot setlist as a classic, played on the current tour and at future shows. In reality, complaints toward Terror Regime are minor and hardly hinder overall enjoyment of the record. The production can be a bit off-putting during the initial spin, but upon realization that the band will likely benefit from the move, one becomes a little more forgiving. Jungle Rot can have a winner on their hands provided Victory Records actually get the album out to record stores--because god knows a certain someone scoured the shelves and could not find Terror Regime anywhere. Once again, Amazon came to the rescue. Suffocation Not Giving it Their All?